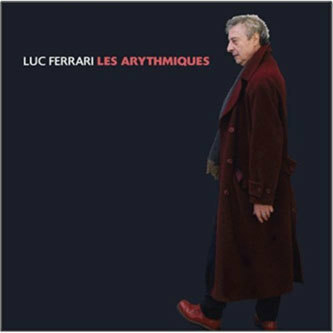 One of his final works, Les Arythmiques finds the late musique concrète veteran Luc Ferrari engaging with the cardiac condition that struck him towards the end of his life. Inspired by the jolt of electricity that was prescribed to combat his arrhythmia, this album is a collection of all the sounds Ferrari recorded on his travels over the final few years of his life - an assemblage of images he bluntly describes: "as one says of a drowning man's life passing before him". The forty minute montage pieced together here is continually interrupted by surges of electricity and stuttering timeline edits, designed to mimic the electric jolt Ferrari experienced in hospital. Given that Ferrari passed away not long after the composition was completed, there's an extra degree of pathos installed in these recordings, and the metaphor at the heart of the work proves to be a powerful one indeed, expressing the relationships between age, memory, sickness and mortality. Highly recommended.